Today was Dr.Seuss's birthday! Chapters Indigo is celebrating his work by offering a deal on his literature! 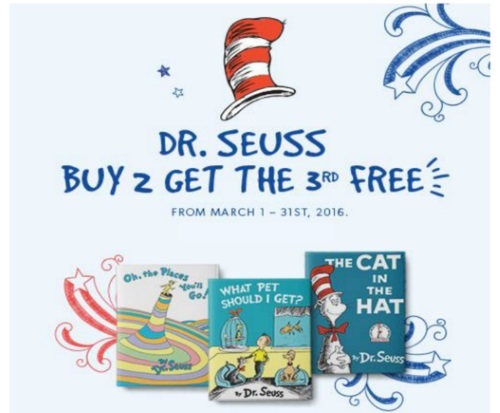 When you buy 2 Dr.Seuss books you can get the 3rd one free! This offer is valid until March 31, 2016. Offer is in-store and online. Click here to browse Dr.Seuss on Chapters Indigo.